Mom’s Homemade Scalloped Potatoes are the perfect creamy side dish for a family dinner- everyone will be back for seconds! I don’t know about you, but when I think of a spiral ham, I immediately think of cheesy scalloped potatoes. Some things are just meant to be together. Peas and carrots. Grilled cheese and tomato soup. Peanut butter and Jelly. Cookies and milk. 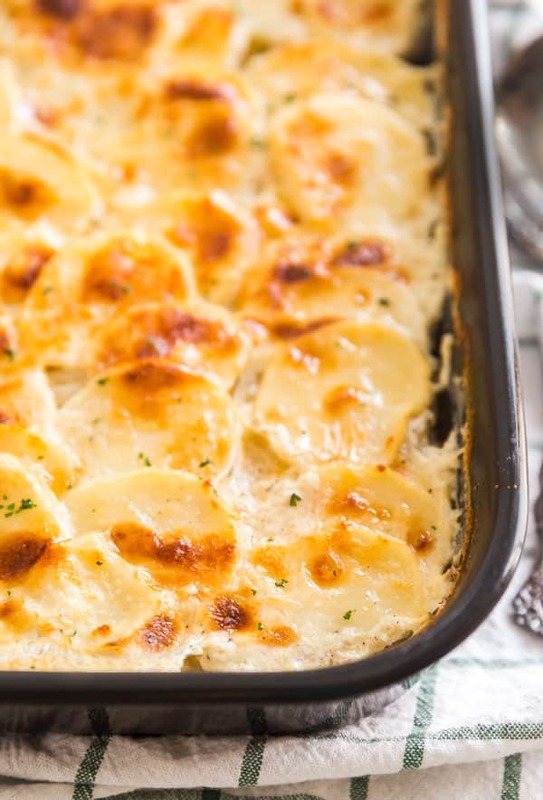 So today I’m really excited to share my Mom’s easy scalloped potatoes. 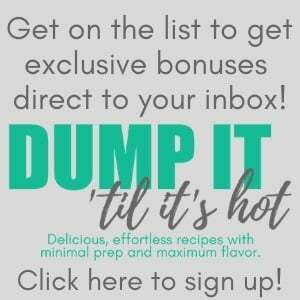 This recipe is crazy simple to make and uses really minimal ingredients for maximum flavor. 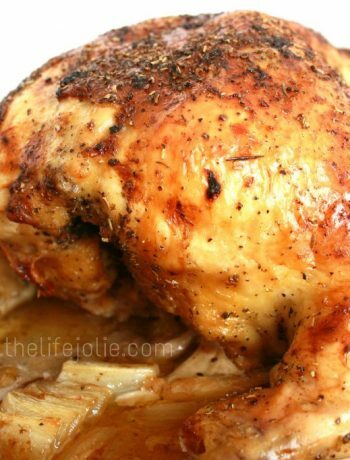 It’s a classic dish that is comforting and is perfect to feed a crowd or even cut down if there are less people eating it. There is nothing more comforting that creamy, savory potatoes that are cooked until fork tender and golden brown on top. Try to make the potatoes as thin as possible. Also slice the onions as thinly as possible- they’ll melt right into the dish! Spray down the baking pan to help prevent sticking. When you’re making the layers of potatoes, try to make it as even as possible. That said, they may overlap a little and that’s ok.
You want the milk to almost cover the potatoes, but not completely. Start with 2.5 cups and if you need a little more, add it. Bake uncovered so that they get nice and golden brown on top. 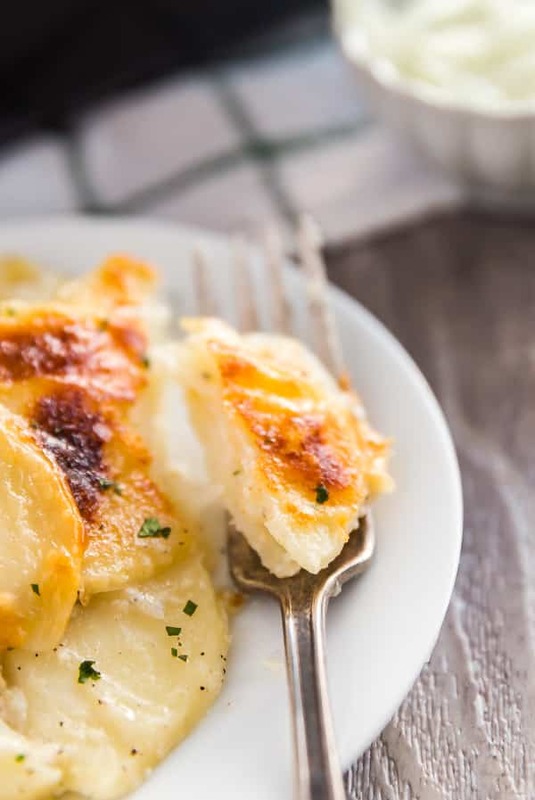 What is the difference between scalloped potatoes and au gratin potatoes? Au Gratin potatoes typically includes cheese and uses slightly thinner sliced potatoes. That being said, I included the option to top it with Romano cheese for a little added flavor. 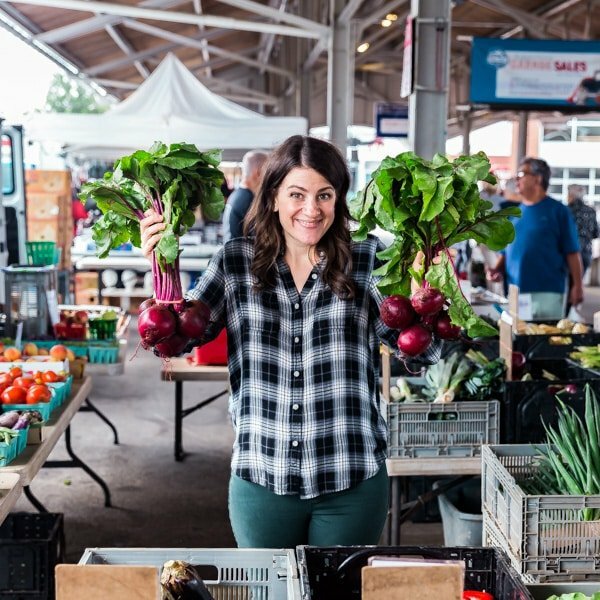 Which potato is best for scalloped potatoes? You can really use any potato but russets tend to have a higher starch content, so you’ll get a creamier sauce. Yukon Gold potatoes maintain their shape a bit better. For the ones pictured, I used red potatoes because that’s what I had on hand and they still came out delicious. How do you cut potatoes for scalloped potatoes? 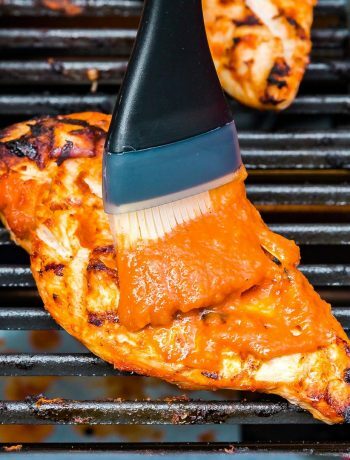 The easiest way is to use a Mandoline because you’ll get a more uniform cut. But you can just as easily take your time and use a really sharp knife. 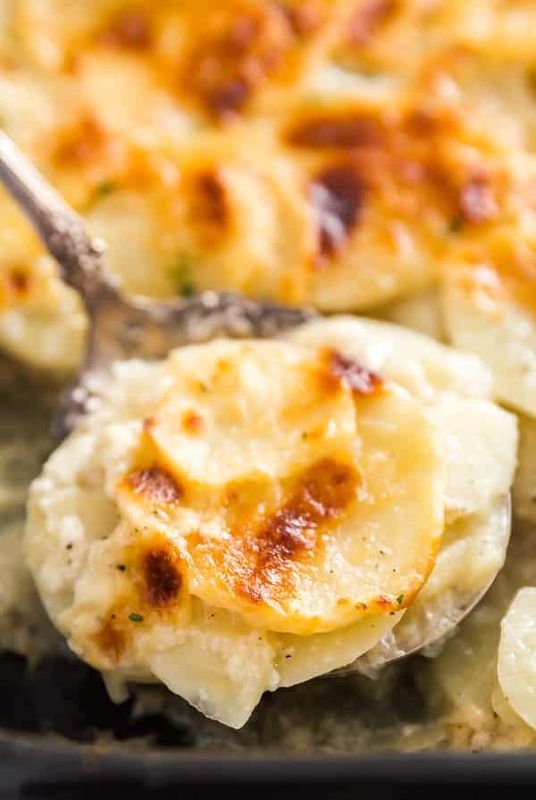 Can you make scalloped potatoes ahead of time? Yes. Assemble the entire dish and cover it well. 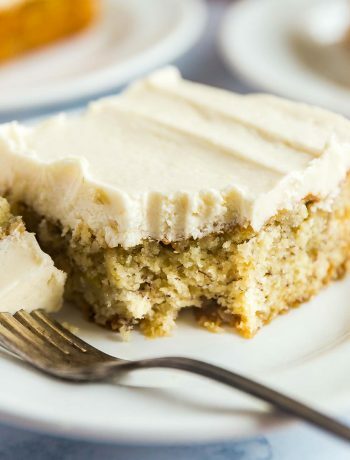 Refrigerate for up to a day or two and bake just before serving. 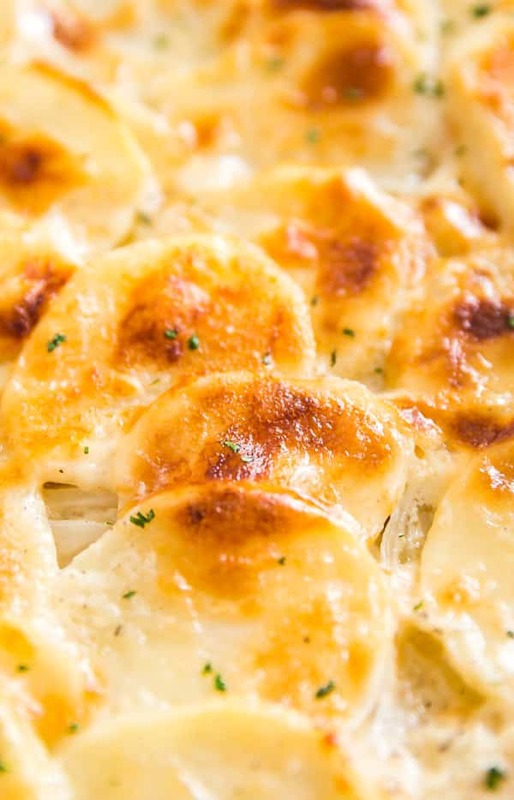 How long do scalloped potatoes last? 4 days covered in the refrigerator. 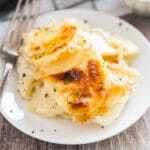 How do you reheat scalloped potatoes? Either in the microwave or covered in the oven. 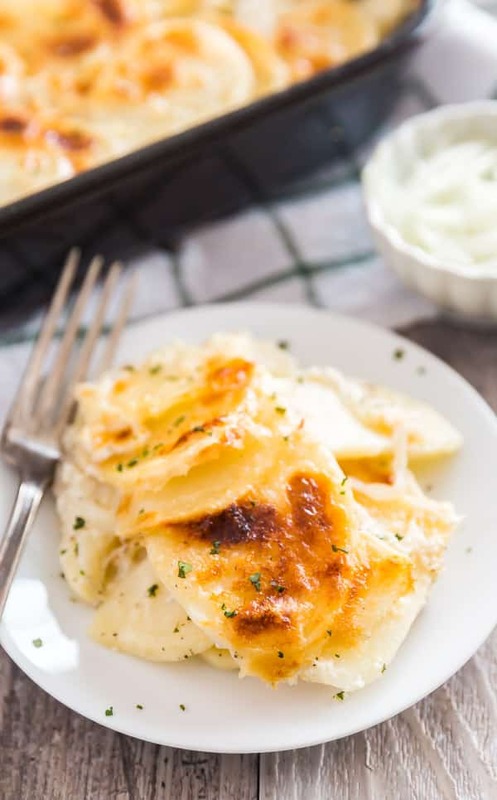 Mom's Homemade Scalloped Potatoes are the perfect creamy side dish for a family dinner- everyone will be back for seconds! Spread a layer of potatoes along the bottom of the pan to cover it (they can and will overlap a bit). Sprinkle half of the onions, 1 teaspoon of salt and 1/4 teaspoon of pepper onto the potatoes. Spread a layer of potatoes onto this. Sprinkle half of the onions, 1 teaspoon of salt and 1/4 teaspoon of pepper on top. Layer the remaining potatoes on top and sprinkle with the remaining salt and pepper. Whisk together the flour and milk and pour it over the layers of potatoes. It should almost but not completely cover them and you can add a little more milk if needed. If using Romano cheese sprinkle it on top of the potato mixture. At this point you can cover and refrigerate until you're ready to bake. When you're ready to bake them, preheat the oven to 400 degrees. Bake for 1 hour until golden brown and crispy on top (if not using the Romano cheese, these won't get as brown). 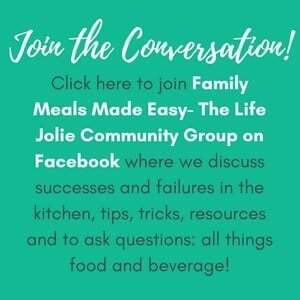 October 17, 2018 at 8:46 pm I love your tips on each recipe.